To celebrate both the 250th anniversary of Beethoven’s birth, as well as to mark the 50th anniversary of EMV, and the 30th anniversary of the Pacific Baroque Orchestra, this performance is designed to evoke the excitement surrounding the debut of Beethoven’s first symphony on April 2, 1800 in Vienna. This will involve the largest-scale period instrument orchestra ever assembled in Vancouver and will demonstrate the extent to which the regional period instrument scene has grown and flourished on the West Coast in recent years. In addition to Beethoven’s Symphony No. 1, the programme will also Mozart’s Jupiter Symphony and excerpts from Haydn’s Creation with the participation of the Vancouver Bach Choir and the Vancouver Cantata Singers. Alexander Weimann is one of the most sought-after ensemble directors, soloists, and chamber music partners of his generation. After traveling the world with ensembles like Tragicomedia, and as frequent guest with Cantus Cölln, the Freiburger Barockorchester, Gesualdo Consort and Tafelmusik, he now focuses on his activities as conductor of the Pacific Baroque Orchestra in Vancouver, Music Director of the Seattle Baroque Orchestra and regular guest conductor of ensembles including the Montreal Symphony, Symphony Nova Scotia, Arion Baroque Orchestra in Montreal and the Portland Baroque Orchestra. Weimann was born in 1965 in Munich, where he studied the organ, church music, musicology (with a summa con laude thesis on Bach’s secco recitatives), theatre, mediæval Latin, and jazz piano, supported by a variety of federal scholarships. From 1990 to 1995, Weimann taught music theory, improvisation, and Jazz at the Munich Musikhochschule. Since 1998, he has been giving master classes in harpsichord and historical performance practice at institutions such as Lunds University in Malmö and the Bremen Musikhochschule, and at North American universities such as The University of California in Berkeley, Dartmouth College in New Hampshire, McGill in Montreal, and Mount Allison in New Brunswick. Since 2007, he has conducted several acclaimed opera productions at the Amherst Early Music Festival. He now teaches at the University of British Columbia and directs the Baroque Orchestra Mentorship Programme there. A multiple Juno and Grammy nominee, Weimann can be heard on some 100 CDs. Recent highlights include an Opus and Juno award winning CD of Handel oratorio arias with soprano Karina Gauvin, a recording of Bach’s St. John’s Passion with Les Voix Baroques/Arion Baroque Orchestra, and a Juno nominated recording of Handel’s Orlando with the Pacific Baroque Orchestra that was also awarded a Gramophone Editor’s Choice award. Alex lives with his wife, three children and pets in Ladner BC, and tries to spend as much time as possible in his garden. The Pacific Baroque Orchestra (PBO) is recognized as one of Canada’s most exciting and innovative ensembles performing “early music for modern ears”. PBO brings the music of the past up to date by performing with cutting-edge style and enthusiasm. Formed in 1990, the orchestra quickly established itself as a force in Vancouver’s burgeoning music scene with the ongoing support of Early Music Vancouver. In 2009, PBO welcomed Alexander Weimann as Artistic Director. His imaginative programming and expert leadership have drawn in many new concertgoers, and his creativity and engaging musicianship have carved out a unique and vital place in the cultural landscape of Vancouver. PBO regularly joins forces with internationally celebrated Canadian guest artists, providing performance opportunities for Canadian musicians while exposing West Coast audiences to a spectacular variety of talent. The Orchestra has also toured BC, the northern United States and across Canada as far as the East Coast. The musicians of the Pacific Baroque Orchestra have been at the core of many large-scale productions by Early Music Vancouver in recent years, including many summer festival performances led by Alexander Weimann. Born in Vancouver and educated at the Vancouver Academy of Music and the University of British Columbia, Paula Kremer has studied choral conducting in courses and workshops at Eton, Westminster Choir College, the Eastman School of Music and the University of Michigan. Holding an ARCT in both piano and voice from the Royal Conservatory of Music, Paula has also studied voice with Phyllis Mailing, Bruce Pullan, Marisa Gaetanne and Laura Pudwell, and piano from Margot Ehling. 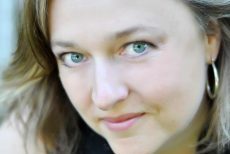 A full-time faculty member of the School of Music at Vancouver Community College, teaching voice, solfege, and choir, she was also the director of two Vancouver Bach Choir ensembles for young adults from 2009-17, the Vancouver Bach Youth Choir and Sarabande Chamber Choir. Paula joined the alto section of our choir in 1994, and has been the Vancouver Cantata Singers’ Artistic Director since 2013. 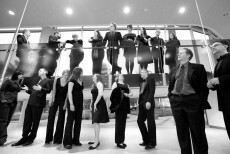 Founded in 1957, the Vancouver Cantata Singers has become one of Canada’s preeminent, award-winning choral ensembles. The choir is known for its technical virtuosity, fine blend and exceptionally high performance standards encompassing 500 years of diverse choral repertoire. VCS has been awarded the Canada Council’s top prize in choral singing, the Healey Willan Grand Prize, more than any other choir in the country. Led by artistic director and conductor Paula Kremer since 2013, VCS also commissions new works from critically-acclaimed composers, which have led to extremely successful and innovative collaborations with regional and international artists and ensembles. Dynamic Canadian conductor Leslie Dala is steadily in demand across Canada, in 2015 leading productions of The Magic Flute (Edmonton Opera) and Madama Butterfly (Saskatoon Opera). As Music Director of the Vancouver Bach Choir, Leslie conducted the Canadian premiere of John Adams’ El Niño and Mendelssohn’s Elijah with Vancouver Symphony. Equally at home with symphonic music, opera and contemporary music, Leslie is a guest conductor with Thunder Bay Symphony in 2016, and was recently chosen as Principal Conductor of the Vancouver Academy of Music. From 2003 to 2011, Leslie held the position of Music Director and Conductor of the Prince George Symphony. Previously held positions for this versatile conductor include Music Director of Les Jeunes Voix du Rhin, in Strasbourg, France and the Opera as Theatre program at Banff Centre, where he conducted John Estacio’s Lillian Alling. Leslie Dala opened Vancouver Opera’s 2014/15 season with the world premiere of Stickboy, a powerful new anti-bullying opera by Neil Weisensel and Shane Koyczan. An avid performer of contemporary music, Leslie conducted the Toronto premiere of Shelter (Palmer/Salverson) for Tapestry New Opera and conducts the North American premiere of Philippe Boesmans’ opera Julie for Canadian Stage. A frequent guest with Soundstreams Canada, this past season Leslie conducted George Crumb’s haunting Ancient Voices of Children with soprano Adrianne Pieczonka in ‘Beyond the Aria’ and celebrates ‘Steve Reich at 80’ at Massey Hall. Guest conducting engagements for Maestro Dala include The Nutcracker with Vancouver Opera Orchestra for Goh Ballet, Menotti’s Postcards from Morocco with University of Toronto’s Opera Division, and in 2015, Cosi fan Tutte, Centre for Opera Studies in Italy. Situated in Vancouver, the gateway of the Pacific Rim, the Vancouver Bach Family of Choirs is an organization which includes the award-winning adult symphonic choir and children’s program. The organization is committed to offering choral education to its members – 100+ adults and 330+ young people – as well as vibrant and culturally diverse choral experiences to its audiences. As one of the largest choral organizations in Canada, the Vancouver Bach Family of Choirs explores a wide range of repertoire from the past to the present with passion and commitment. Through its series of concerts presented at the magnificent Orpheum Theatre and throughout the lower mainland and points beyond, the organization continues to meet its mandate of choral education, as well as commissioning and performing works by Canadian composers alongside the world’s favourite symphonic choral works. The adult choir, under the baton of Maestro Leslie Dala, celebrates its 88th anniversary in the 2018-19 season. The 2018-19 season celebrates the 34th anniversary of the children’s program, ably guided by Music Director Marisa Gaetanne.